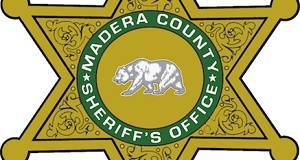 MADERA COUNTY – Following are details from the Madera County Sheriff’s Office of reports taken locally from Monday, Apr. 1 to Sunday, Apr. 7, 2019. On Tuesday, Apr. 2 at 10 a.m. a deputy was dispatched to the 48000 block of Liberty Drive regarding a burglary report. A report was written and the case was closed. On Tuesday, Apr. 2 at 11:02 a.m. a deputy was dispatched to the 40000 block of Highway 49 regarding harassment. Report was written and case suspended pending further information. On Wednesday, Apr. 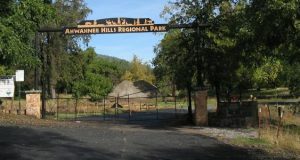 3 at 5:23 p.m. the Madera Sheriff Problem Oriented Police Team (POP) conducted warrant services in the mountain division. A male subject was contacted in the 32000 block of Road 608 who had a confirmed felony warrant for his arrest. He was arrested, transported and booked into Madera County Department of Corrections for the warrant. Case closed by arrest. On Wednesday, Apr. 3 at 9:05 p.m. a subject was contacted in the area of Long Hollow and Glacier Drive. 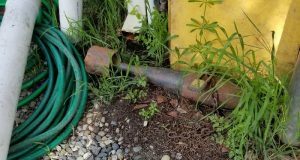 During the contact it was discovered the subject was in possession of a substance believed to be crystal methamphetamine. The subject was cited and released on scene. officer and a probation violation. Case closed by arrest. On Thursday, Apr. 4 at 2 a.m. a subject was contacted in the 46000 block of Lucky Lane and was found to be in possession of a substance believed to be crystal methamphetamine as well as narcotic paraphernalia. On Thursday, Apr. 4 at 5:33 a.m. a deputy was dispatched to the 46000 block of Lucky Lane regarding a subject who was restrained from the casino. The subject also had a misdemeanor warrant for his arrest and was on probation in Madera County. The subject was arrested and transported to MDOC where he was booked. On Thursday, Apr. 4 at 1:42 p.m. a deputy responded to the 40000 block of Highway 49 for a report of a shoplifter who was detained. A deputy arrived, evidence was collected and the shoplifter was turned over to their parent. Case will be sent to the Madera County District Attorney’s Office and to Juvenile Probation. On Thursday, Apr. 4 at 6 p.m. deputies responded to a domestic disturbance in the 45000 block of Blue Willow Place. Deputies arrived and learned one of the involved parties had left prior to their arrival. Statements and evidence was obtained and the individual who left was located and arrested. Case was sent to the Madera County District Attorneys Office of charges to be filed. On Thursday, Apr. 4 at 8:06 p.m. a deputy was dispatched to the area of Opah Drive and Harmony Lane for a report of a male down on the side of the roadway. The male was found to be unconscious and unresponsive. It was determined that the male overdosed on opiates and was given Narcan to save the subject’s life. The male regained consciousness and was transported to the hospital for further care. On Thursday, Apr. 4 at 9:25 p.m. a deputy self-initiated a vehicle check conducted on the 39000 block of CA-41. A male subject was contacted and arrested for a warrant out of Madera County. Case cleared by arrest. On Thursday, Apr. 4 at 11:02 p.m. a deputy conducted a traffic stop in the area of Road 416 and Road 415 on a vehicle that failed to stop at a stop sign. The driver was found to have an outstanding misdemeanor warrant, suspended drivers license, and to be in possession of drugs and drug paraphernalia. The male driver was arrested and booked into the Madera DOC. On Thursday, Apr. 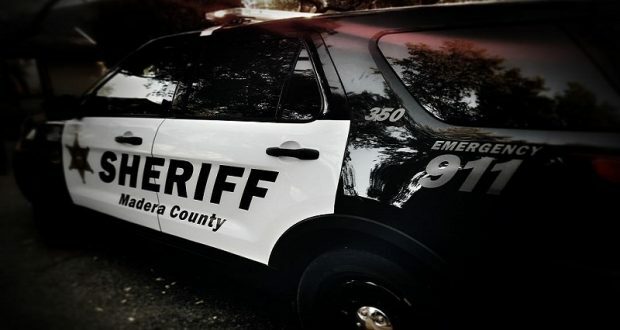 4 at 11:17 p.m. deputies responded to the 49000 block of Vista Heights regarding a welfare check of a minor possibly left alone in the residence. The child was contacted and was confirmed left alone, but in good health. The mother was located nearby and she returned home. A report was written and forwarded to CPS for review. On Friday, Apr. 5 at 1:40 a.m. deputies responded to the 32000 block of Road 228 regarding a suspicious person. A subject was arrested for narcotics charges and booked into Madera DOC. On Friday, Apr. 5 at 11:19 a.m. a depty was dispatched to the residence located at the 39000 block of Road 274. The next of kin was notified and the remains were removed by Sierra Chapel. Refer report to the Chief Coroner for review. located and arrested. Case will be sent to the Madera County District Attorney’s Office for charges to be filed. On Friday, Apr. 5 at 7:54 p.m. deputies responded to the 40000 block of CA-49 regarding an ill patient that passed away from natural causes. 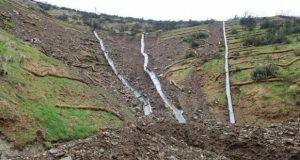 A report was taken and forwarded to the Madera County Chief Coroner’s Office for review. On Friday, Apr. 5 at 6:48 p.m. a deputy was dispatched to the 32000 block of Shamrock Lane for a report of a 911 hangup. A male occupant at the residence was found to have two outstanding misdemeanor warrants and booked into the Madera County DOC. On Saturday, Apr. 6 at 12:22 a.m. a deputy on routine patrol assigned to the casino detail was dispatched to a domestic violence incident which resulted in an adult male being arrested and booked into the jail for related charges. Forward the case to the Madera County DA for charges. Forward a copy of this report to the Merced County Probation Department for information on the victim who was on active probation. On Saturday, Apr. 6 at 9:54 p.m. a deputy self-initiated a vehicle stop on the 39000 block of Road 222. The female driver was cited and released on three $6,000 misdemeanor traffic warrants. Warrants cleared and case closed. On Saturday, Apr. 6 at 10:49 p.m. a deputy conducted a vehicle stop in the area of Highway 41 and Highway 49 for equipment violations. The driver was found to be on probation and the vehicle was searched. During the search, the deputy found a white crystal like substance believed to be methamphetamine, along with narcotic paraphernalia. The driver was cited for the narcotics violations and was released at the scene. On Saturday, Apr. 6 at 11:16 p.m. a deputy self-initiated a subject check conducted on the 41000 block of Highway 41. Male subject found to be in possession of narcotic paraphernalia. Subject was arrested and released on a citation. Forward to Madera County DA to pursue the charge. Forward to Probation for review.